Rotterdam, 11 October 2018 – Market leader Jedlix starts international expansion with its Smart Charging solutions. Today, Jedlix signs an agreement with Renault and energy provider Total Spring for the launch of ‘Z.E. Smart Charge' in France. Electric car drivers can benefit from automated charging at the most favourable times while, at the same time, contributing to driving on sustainably generated electricity. Independent Smart Charging specialist Jedlix has offered its services for electric cars in the Netherlands since 2016. While taking the departure times of drivers into account, an intelligent app is used to halt the charging process temporarily when there is a risk of having a shortage of electricity supply on the grid. When there is a surplus amount of electricity – for instance when there is a lot of wind or sunshine – the charging will be accelerated. With its over-the-air and connected car based technology, Jedlix promotes the consumption of sustainable energy. Independent of charging equipment and the drivers receive a financial reward in return. After the Netherlands, now also available in France with the Renault Z.E. Smart Charge App. People who drive the Renault Zoe, the best-sold electric car in France, will have the opportunity to use the service in combination with a Total Spring green energy contract. Jedlix is preparing for a wider range of services for the French market, which will include other car brands as well. After this, the Smart Charging solutions will also be launched in other countries that have a high electric mobility level. 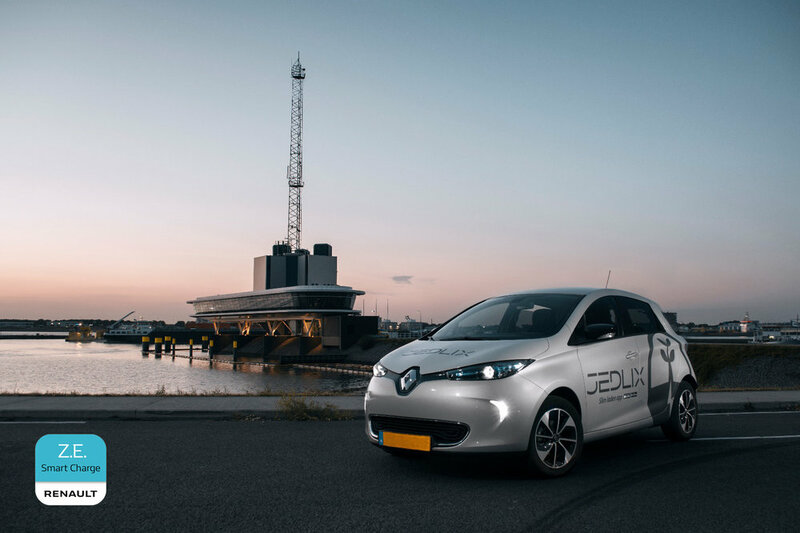 "After a successful launch of Jedlix in the Netherlands, we have entered a new phase with this collaboration between Jedlix, Renault, and Total Spring on our way to expand our leading position in the area of Smart Charging in Europe." The collaboration was announced at the Paris Motor Show earlier today. Here you will find a link to the announcement from our partner Renault.